This is the fist one I have seen that is one piece. Have any of you ever run across a non clam shelled radio unit. I am not even sure if its a Vetter or Cycle Sound. However it does fit the Windjammer like a glove. I wonder if it was for a Pacifico or WJ clone? I was gonna pull it apart and to my surprise, no pull apart. Surprisingly I have one too. I got mine with my Vetter haul I picked up for $100 awhile back. Guy made a GL1000 into a cafe racer and sold all of the Vetter goodies. I also noticed it looks like it came for the newer single din deck. Grabbed a few pictures of mine. Its interesting that there is no Vetter Sound logo on the unit. Yeah, thats the same as mine. Shows how much I pay attention to my purchases. The 'package' I picked up in December also has a one piece Vetter Sound. No markings or emblems on the shell, but Vetter on the speaker grills. 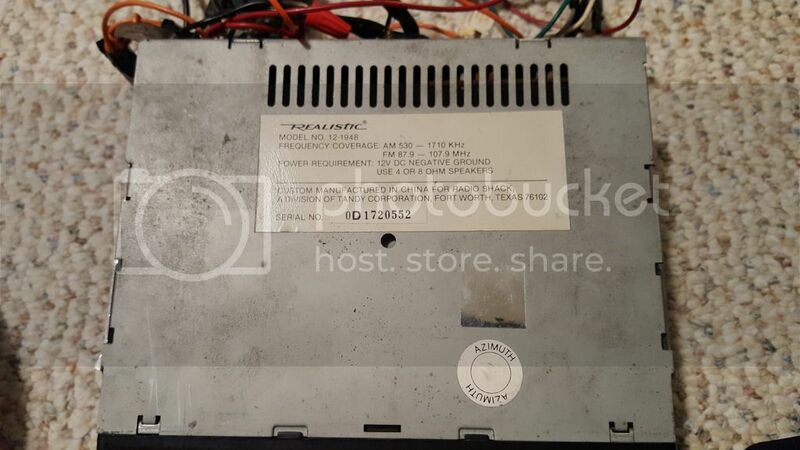 It has a 'post' type radio, so I need to investigate it further. I'd love to see the installation manual for this version. While not overwhelming, getting that adapter plate out was interesting. I can see where less mechanically inclined people would have some difficulties. Why are there two different radio housings: Cycle Sound and Vetter Sound? Here is the Cycle Sound story: Fred Hoese, a dear friend, who now makes "LeatherLyke" saddlebags, invented and manufactured the Cycle Sound back in 1975. Vetter Corp. sold his Cycle Sound kit as an accessory. When I sold the company, the new owner simply copied Fred's design and called it Vetter Sound. All very embarrassing to me. Fred's Cycle Sound is the only legit unit as far as I am concerned. I think it was the copied version that is a single piece. 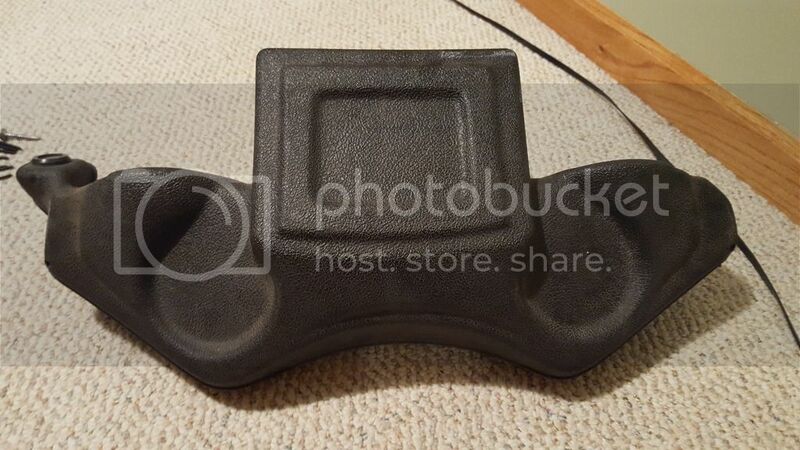 What happened to the Vetter Fairing Company? I started my fairing business in 1966. I sold the company to my banker in 1978. He put it into bankruptcy in 1983. Bell (Helmets) acquired the assets. Bell produced fairings thru 1987. I wasn't there, and only have 5 enclosures (ONLY?) to compare. 1. 2 piece with cyclesound on the enclosure and cyclesound on the speaker covers. 2. 2 piece with cyclesound coaxial system on the enclosure with no speakers nor cover. 3. 2 piece with vetter on the enclosure and vettersound on the speaker covers. 5. 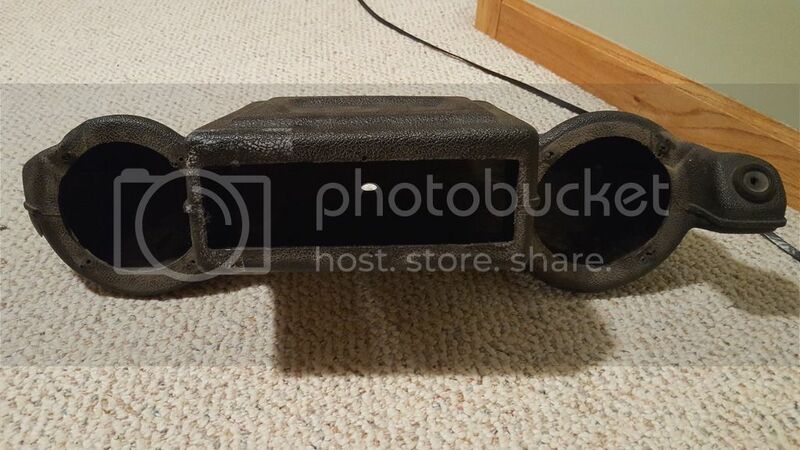 1 piece with nothing on the enclosure and vetter on the speaker cover. 3. bell sold one piece vetter units. (84-87) That or another company produced the one piece unit with or without permission to use the vetter name on the speaker covers. Again not having been there, exactly how things went down I don't know. But there were obviously various versions of multiple brands produced. I still find it odd that until this thread (and I looked at what I have) I had never heard of nor seen a one piece unit. And at least 4 of us have one! That's what I love about the forums. Piecing together a 30-40 year old puzzle. A little info here, a little info there, and we come up with an idea of what went on back then. May never get a clear picture, but at least a stick drawing in pencil. I have one too. Bought it on EBay, some time back. No markings whatsoever. Had no speaker grilles. I fabricated some mounts and put it on my KZ1000P, which is up for sale. Definitely not a Fred Hoese product. It was quiet a puzzle to get it out as Ron mentioned. I did have success though. Since it's thought to be produced by Bell you would think they would brand the crap out of it. Bell seems to be a company that likes it's own image and brand. The rollout of cassettes allowed for one of mankind’s greatest achievements: the mix tape. This development also heralded the creation of branded aftermarket cassette-tape players from Alpine and Pioneer, among others. Bose and GM’s Delco teamed up to offer the first “designer” stereo system. Bose sank money into car-specific development; rather than just producing an expensive head unit, it was marketing the entire system to Oldsmobile, Buick, and Cadillac shoppers. While Sony had introduced an in-dash player the previous year, Becker’s Mexico Compact Disc was the first to be factory installed (in Benzes, of course). Like I said, I'm totally guessing on who may have manufactured the one piece units. craigvetter.com only mentions cyclesound and vettersound (a direct copy of the cyclesound.) As such, I didn't know one piece units existed until recently. When or who made these is still only a guess until more data comes forward. I have to assume (you know what they say about assume) whoever made them had legal use of the vetter name. My "guess" may be totally wrong, but I would love to see an owners/users manual for the one piece units. I would like to find a manual as well. I shall start my quest! My guess is that it was the Veter company after Craig sold it. 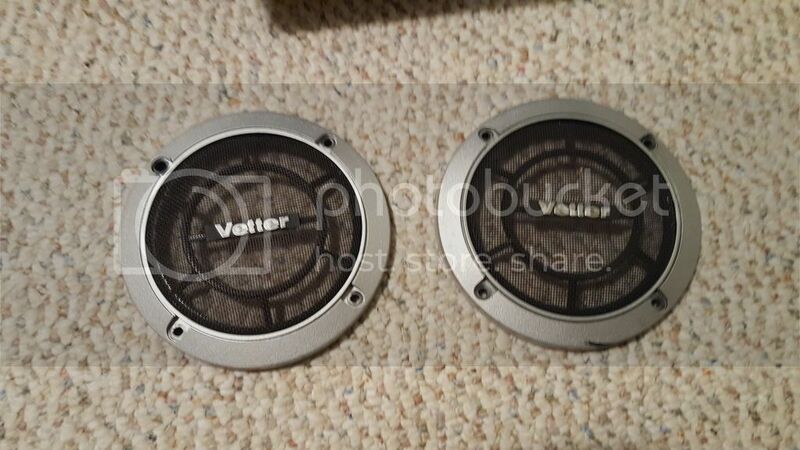 I think I remember talking to someone that bought a NOS one piece unit that came with Vetter name plates on the speaker grills. Looks like there may be many, many "CycleSound's" I've never seen. No idea of the date of this ad, but probably before Honda started putting fairings on their bikes at the factory (1980) as Hondaline is not listed, and I KNOW there was one. Hmm, that looks like a reseller/installer of the units. I am guessing that is an older ad because of the Cyclesound Logo. It matches one of my early Cyclesounds before the put on emblems. 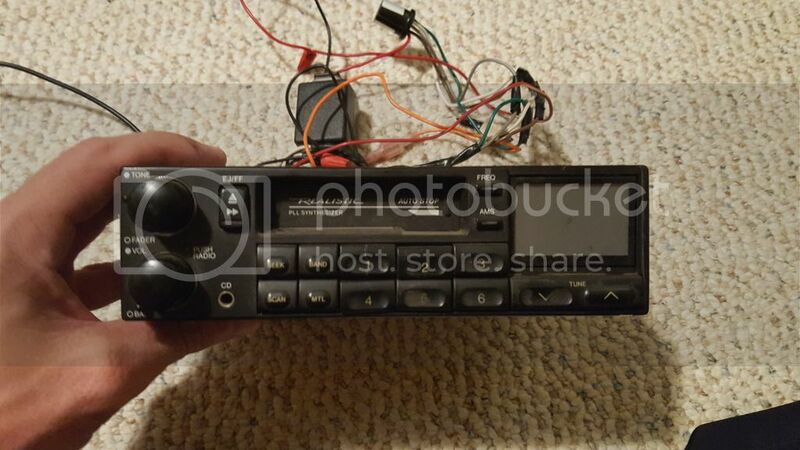 Its also a shaft style radio and what looks to be a WJ III. Another thing is the smaller speakers and metal ring grills.